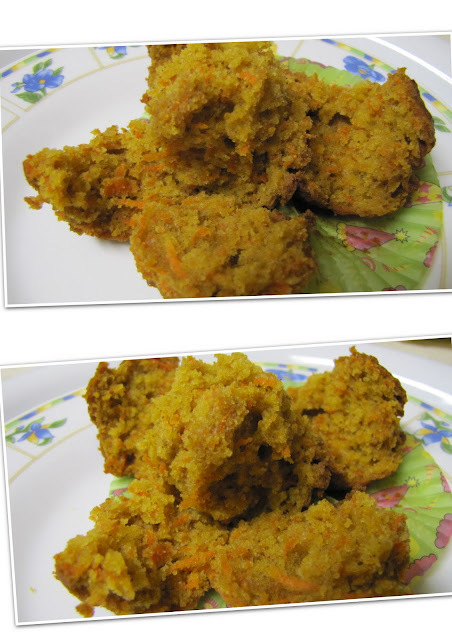 Carrot cupcake is one cupcake which I've always wanted to give a try. For some reason I couldn't do it for so long. I just postponed it whenever i thoiught I would give it a try. Atlast I tried it out when Savi came to visit me..It was like a get together, and to mention, my another friend Gedja was also present at that time..So we really had a good time.But this time I forgot to take snaps and more importantly notes (Ingredient lists and procedure),while making cos of all hungama we had..All in all , I had a good time..This recipe is from Martha stewart's collection.. 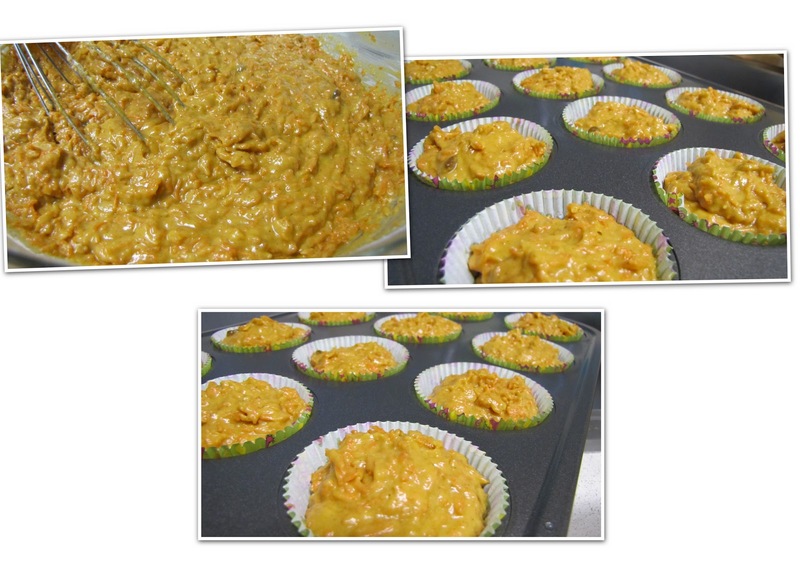 But I changed the frosting sinceI had mascorpone cheese..It tastes really yummy, Loved the topping with that zest..It's top notch..guys.. In another large bowl, whisk together melted butter, brown sugar, egg, yogurt, and vanilla. Stir in carrots. 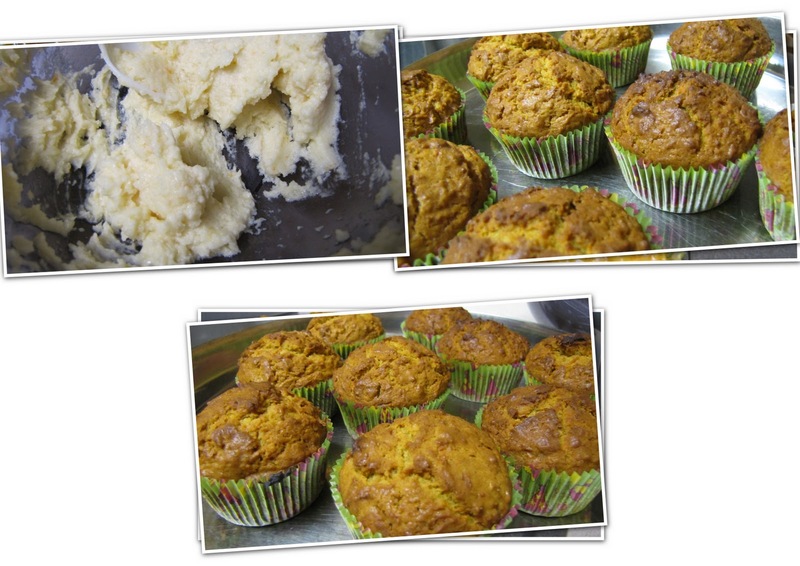 Gradually add dry ingredients to butter mixture mixing until well combined. Divide among muffin tin. Bake 25 to 30 minutes, rotating pan halfway through until a toothpick inserted in the center of a cupcake comes out clean. Remove from pan to a wire rack to cool completely before frosting. To frost: Using an electric mixer, beat Mascarpone cheese, butter, and sugar until smooth; beat in vanilla and orange zest. Top each cupcake with 2 tablespoons of frosting and spread to cover. Add the Orange Zest just before topping otherwise the citrus oil will seperate the cheese and butter and it will be runny.. This cupcake is really heavy,eating one fills ur tummy..
wow..that' was tempting muffin..looks moist n spongy! wow the cake is so tempting and droolworthy, can I grab and have some? 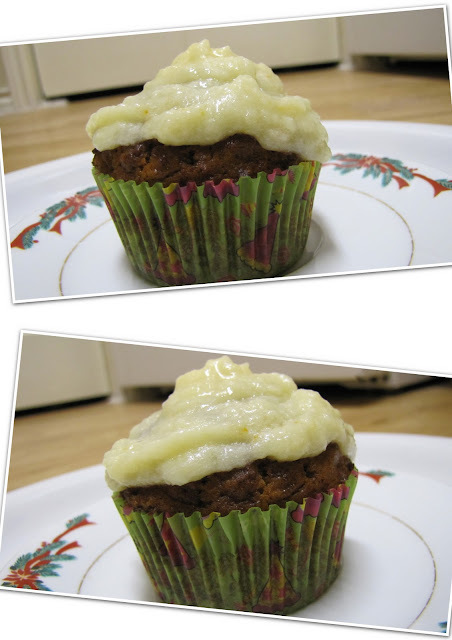 Carrot cupcake looks delicious. nice clicks too. shanavi great job dear--- looks absolutely swell ! Perfectly baked cupcakes n beautifully captured! Lovely treats..moist, yum n very festive!